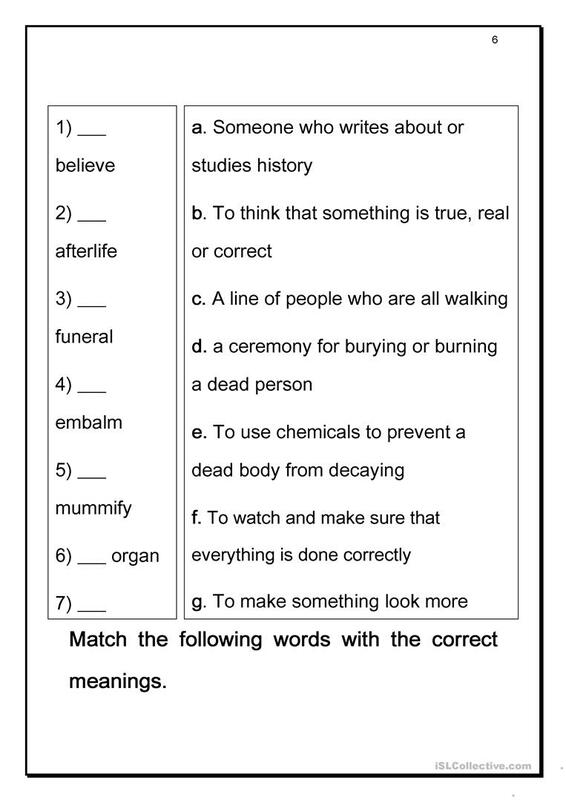 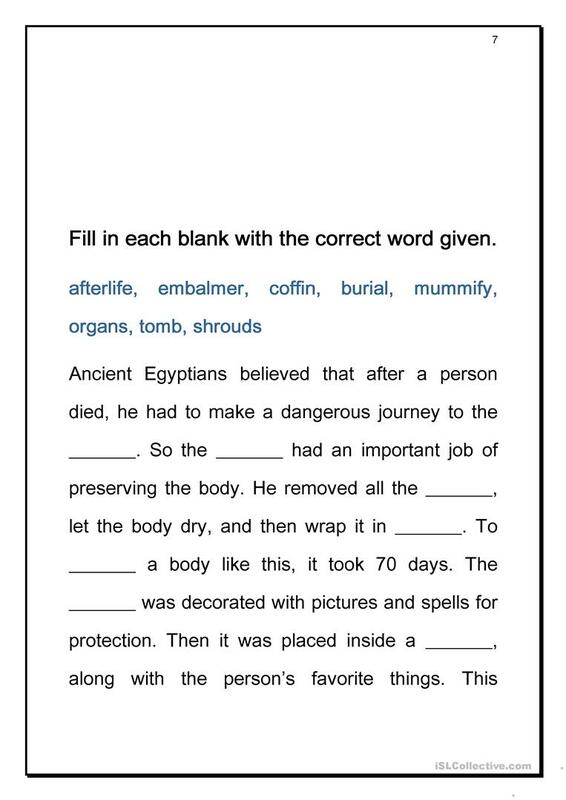 This handout is designed to practice reading skills. 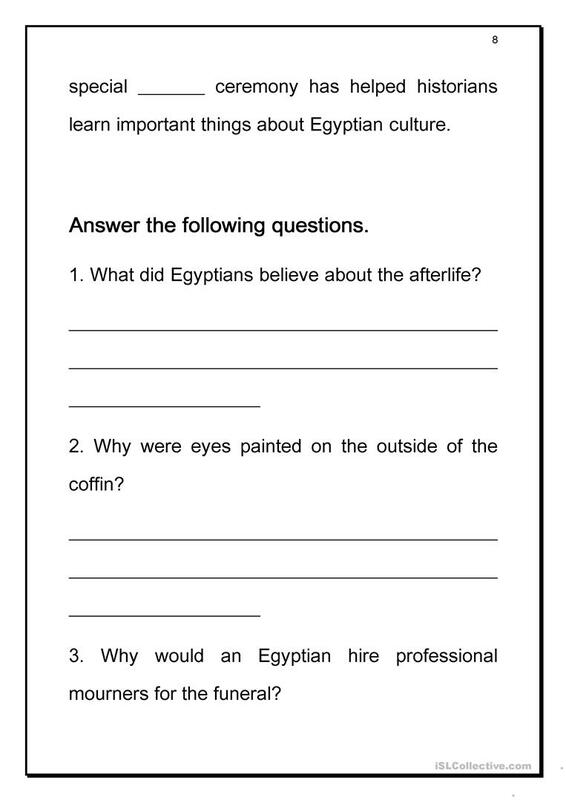 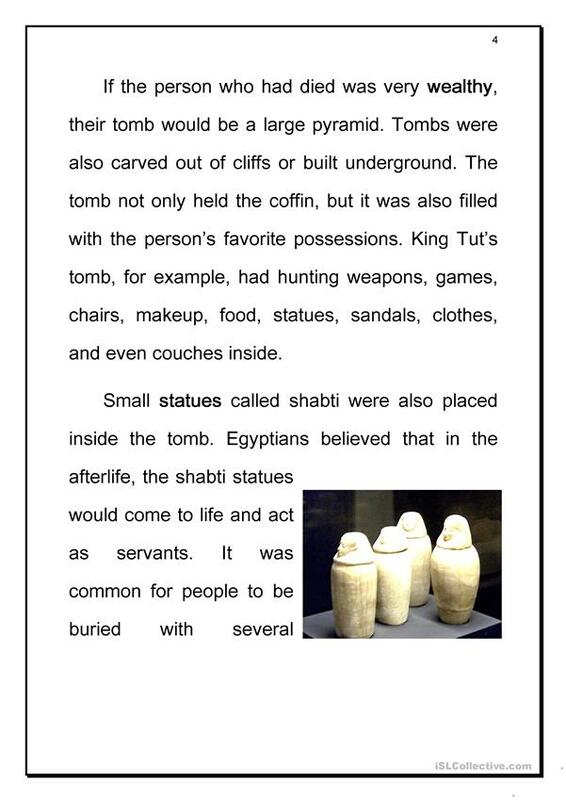 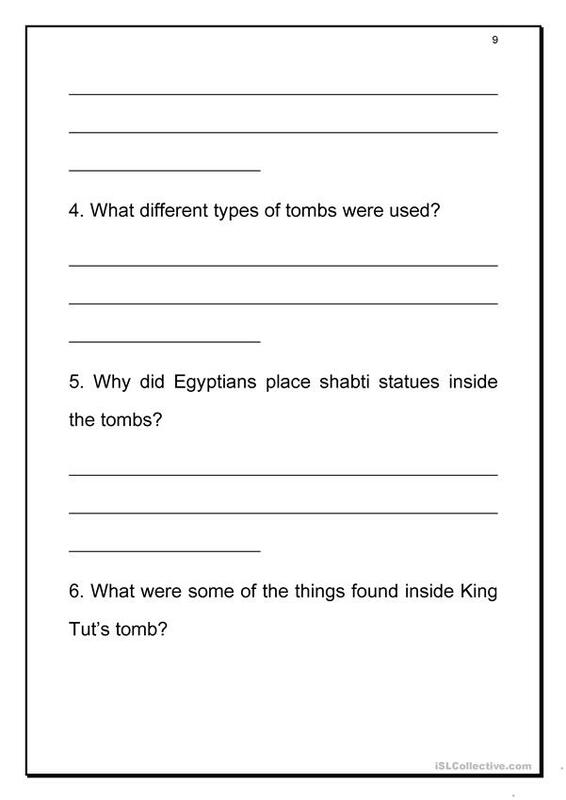 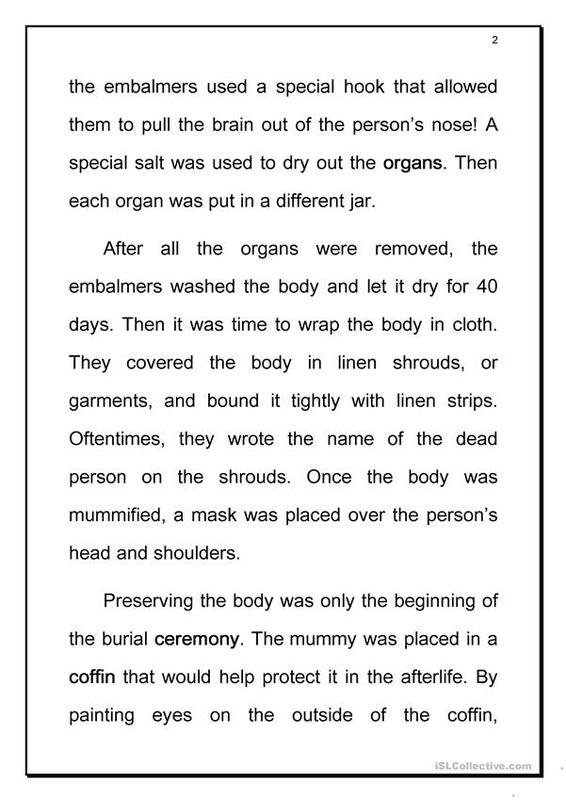 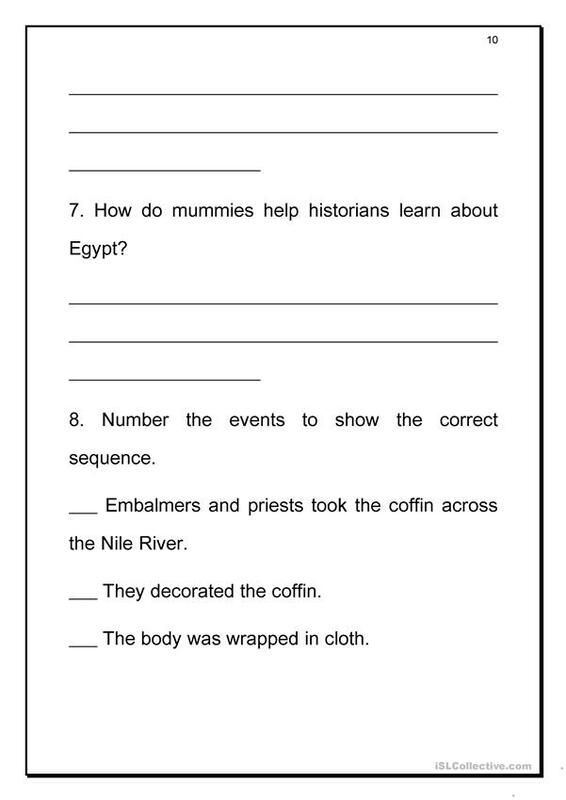 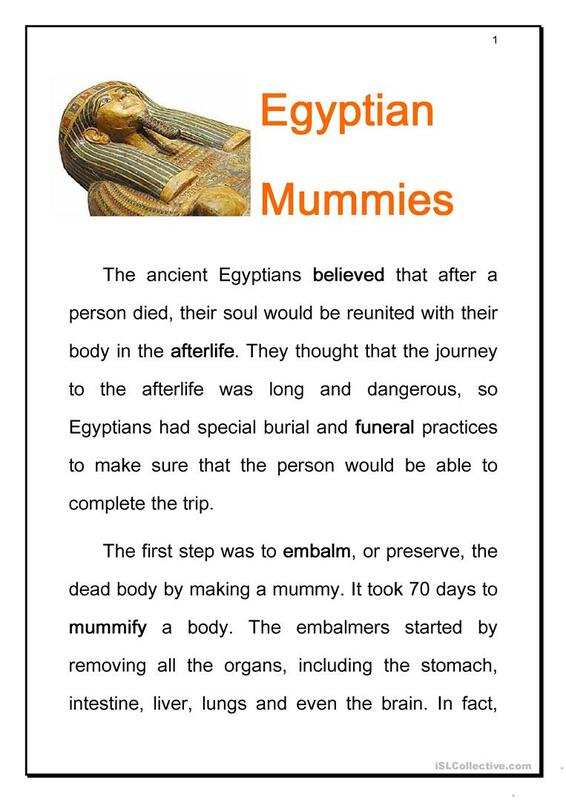 The information about what Egyptians believe in the afterlife and how they preserve dead bodies is explained. The above downloadable printable is meant for high school students at Pre-intermediate (A2) level. 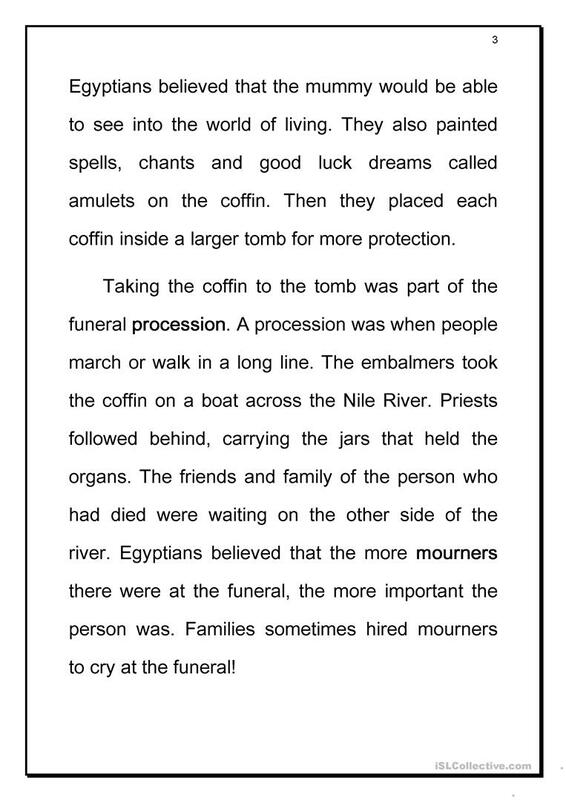 It is aimed at practising in English, and can be used for honing your pupils' Reading skills. It is about the vocabulary topic of World. 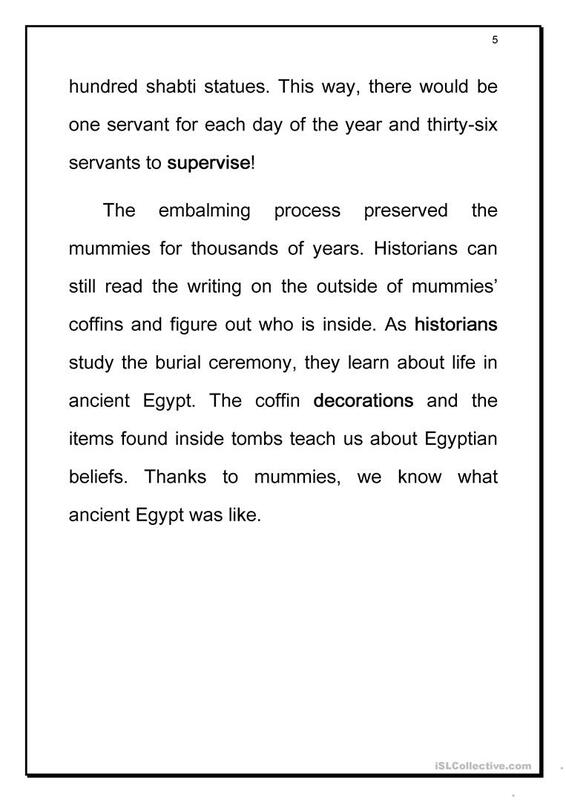 nontanoon is from/lives in Thailand and has been a member of iSLCollective since 2011-06-29 08:25:47. nontanoon last logged in on 2011-06-29 08:25:48, and has shared 1 resources on iSLCollective so far.